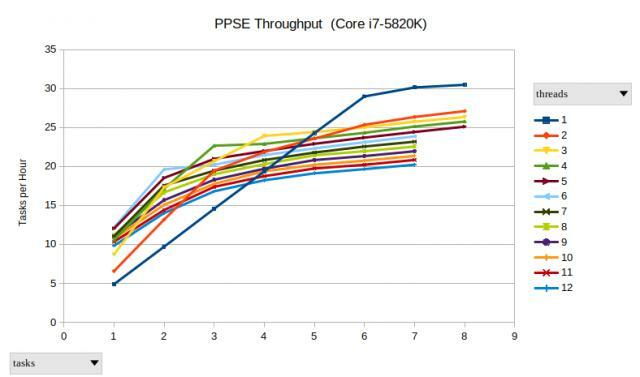 The graph above shows that HyperThreading is marginally beneficial on this 6-core CPU. which adds about 3% to the throughput over using 1 thread per physical core. The internet is not fit for human consumption. My Erdős number is 5 (from work I did for fun in 1978). The lowest bound for g(k) (Waring's conjecture) is proven by hand in 2018 (to be published). in 1988 (Kubina and Wunderlich) trying to find an exception that doesn't exist. How fast was that CM-1? K and W say 8 times the speed of a Cray 2. By modern standards, a Cray 2 was as fast on LINPACK as an Apple iPad 2. I am often amused when the radio news goes on during REM sleep. In a dream during the Rocket Man coverage, I pocket-dialed Kim Jong-un. But it was just his voicemail (LOL). God lay me gently on my right side, on the pavement beside the car that hit me. I clearly saw the rear wheel approaching my left foot. In a split second I moved that foot barely an inch. The wheel scraped the side of my shoe and my ankle. I was sure it had rolled over the edge of my foot. But there was little pain, no crushing, no bone damage. and I thank God for giving me a second life. Nov. 9, 2018.